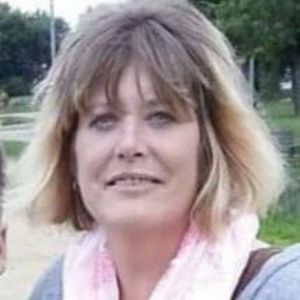 Barbara Jean (Tonstad) Kahl, 57, of Belleville, WI, passed away unexpectedly on Saturday, March 23rd, 2019 at St. Mary's Hospital in Madison, WI surrounded by her loved ones. She was born the daughter of Lawrence and Mary Tonstad, on April 8, 1961 in Madison, WI. Barb graduated from La Follette High School in 1979. She is survived by her 6 children; David (Samantha Lawler) Tonstad, Erica (Paul) Baxter, Dustin (Kelly) Kahl, Megan (Jordan Horstman) Kahl, Shelby (Dillon Wiese) Kahl, and Derek Kahl. She leaves behind 13 grandchildren. She is also survived by her three brothers, Mike (Susie) Tonstad, Rick (Judy) Tonstad, Kevin Tonstad, as well as numerous relatives and friends. Barb was preceded in death by her parents. Barb spent all of her adult life as a care-giver; it was truly her life's work. Whether it was caring for her own 6 children, her 13 grandchildren, or her patients and customers through her place of work. She put forth so much love in her lifetime. Barb was not only a devoted mother and grandmother, she was a loyal friend to everyone she met. A memorial service will be held at Lakeview Moravian Community Church, 3565 Tulane Ave., in Madison, WI on Friday, March 29th. A visitation will held be at 10:00am prior to the 11:00am service. Luncheon will be served following the service at the VFW on Cottage Grove Rd. in Madison. In lieu of flowers the family has requested memorials made to the family. I am sorry to hear of Bj passing . We had so many fond memories as a child growing up across from each other . I know she is gods hands and with her Mom and Dad . May you rest in peace . My deepest condolences to the family. Barb will be truly missed by many. Sending thoughts and prayers to Barb's family and friends. She was such a hard working and loyal person. I was blessed to have known her for the time I had with her. Thinking of you Shelby, and may you find comfort and peace. What does one say the loss n grief is blinding at times. I'm so sorry for the people that will never meet such a loyal and caring friend,mother, grandmother, and sister. I smile thinking of all our secrets shared our crazy hijinks our laughing till we cried n even peed a lil. Her poor son in utter shock at our adolescent behavior. The story's and memories are endless as my love for you. I miss you sis, and look forward to hearing and meeting you again. Hopefully we end up at the same address. Put in a good word and when the time comes I'll bring the vino. My condolences to Barb's family.